Evidence-based assessment requires using instruments with strong reliability and validity for the accurate identification of children’s problems and disorders, for ongoing monitoring of children’s response to interventions, and for evaluation of the outcomes of intervention. These procedures must also have demonstrated effectiveness in diagnosis, clinical formulation, intervention planning, and outcome assessment. 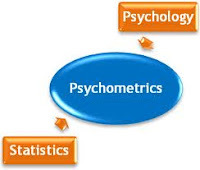 Professionals should have an understanding of the basic psychometrics properties that underlie test use and development when assessing children and youth for autism spectrum disorder (ASD). For example, diagnostic validity is an especially important psychometric characteristic to consider when evaluating the quality and usefulness of a screening instrument or more comprehensive measure. It refers to a test’s accuracy in predicting group membership (e.g., ASD versus non-ASD) and can be expressed through metrics such as sensitivity and specificity, and positive predictive value (PPV) and negative predictive value (NPV). Sensitivity and specificity are measures of a test's ability to correctly identify someone as having a given disorder or not having the disorder. 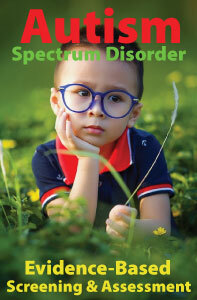 Sensitivity refers to the percentage of cases with a disorder that screens positive. A highly sensitive test means that there are few false negative results (individuals with a disorder who screen negative), and thus fewer cases of the disorder are missed. Specificity is the percentage of cases without a disorder that screens negative. A highly specific test means that there are few false positive results (e.g., individuals without a disorder who screen positive). False negatives decrease sensitivity, whereas false positives decrease specificity. An efficient screening tool should minimize false negatives, as these are individuals with a likely disorder who remain unidentified. Sensitivity and specificity levels of .80 or higher are generally recommended. Positive Predictive Value (PPV) and Negative Predictive Value (NPV) are also important validity statistics that describe how well a screening tool or test performs. The probability of having a given disorder, given the results of a test, is called the predictive value. PPV is interpreted as the percentage of all positive cases that truly have the disorder. PPV is a critical measure of the performance of a diagnostic or screening measure, as it reflects the probability that a positive test or screen identifies the disorder for which the individual is being evaluated or screened. NPV is the percentage of all cases screened negative that are truly without the disorder. The higher the PPV and NPV values, the more efficient the instrument at correctly identifying cases. It is important to recognize that PPV is influenced by the sensitivity and specificity of the test as well as the prevalence of the disorder in the sample under study. For example, an ASD-specific screening measure may be expected to have a higher PPV when utilized with a known group of high-risk children who exhibit signs or symptoms of developmental delay, social skills deficits, or language impairment. In fact, for any diagnostic test, when the prevalence of the disorder is low, the positive PPV will also be low, even using a test with high sensitivity and specificity. 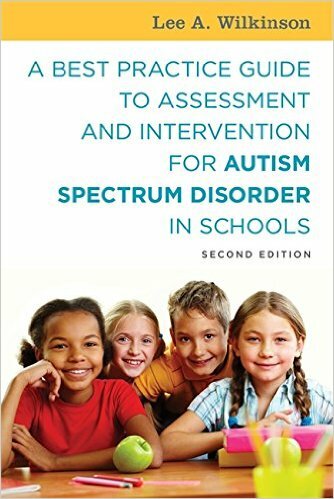 Adapted from A Best Practice Guide to Assessment and Intervention for Autism Spectrum Disorder in Schools (2nd Edition).